This week we wanted to cover a slick theme for devices running CyanogenMod 7. Synergy is a theme built using the T-Mobile Theme Engine, a nifty piece of software that allows you to quickly change the feel of your device without having to flash something through recovery. 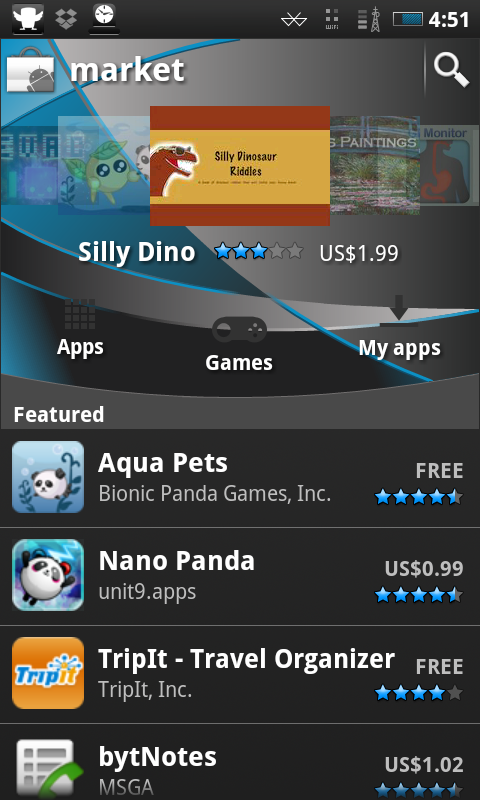 Instead, themes can be found in the market and downloaded like any other application. 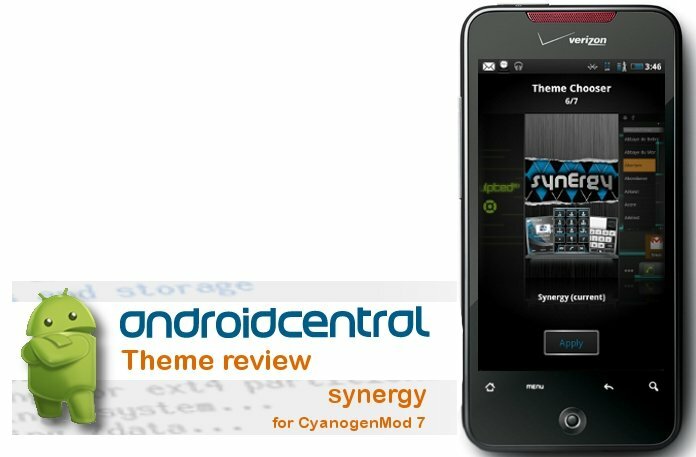 There are dozens of themes available, but Synergy is quickly becoming a staff favorite. Want to write a ROM review for Android Central? We'd love to hear from you! Look here for details. Now head past the break for the review. 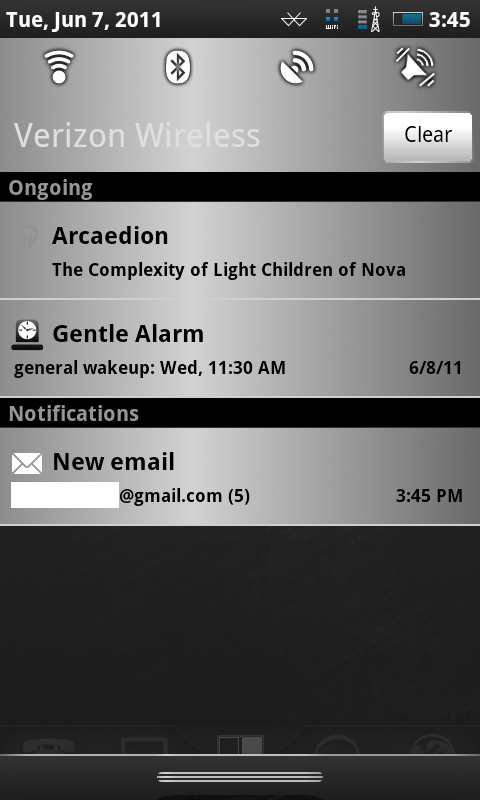 Synergy is a dark theme with cobalt blue accents that are deeply baked into your phone. Every system application and many popular third party applications are re-skinned to create a cohesive theme. 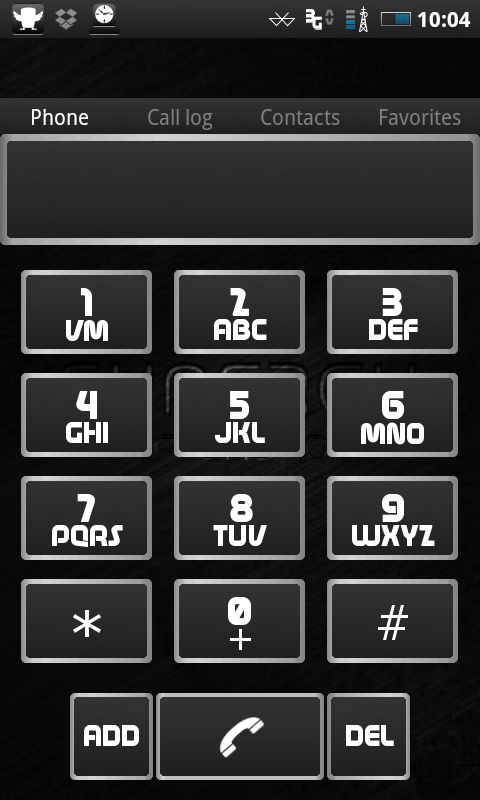 All told, the theme uses over 1800 custom images to change the look of your phone, and it shows. This isn't just a "Minimal Blue" theme either. the developer customized icons, fonts, and widget skins to make this feel like a whole other ROM, and not just a color theme. Thanks to the theme engine, installing this theme was a breeze. I simply downloaded the file from the market, and then went to the theme engine app and hit "apply." Most of the changes showed up right away, but the phone did require a restart for certain items (such as the notification bar control options) to theme properly, but this is because of an issue with the theme engine and not the theme itself. One thing I really liked about this theme (beyond how amazing it looks) is that it skinned several apps that I use everyday (Plume, FlexT9) that most themes don't bother changing. It's this attention to detail that helps Synergy outshine other "minimalistic" theme. The developers clearly had an idea of how they wanted everything to look and not just a favorite color. 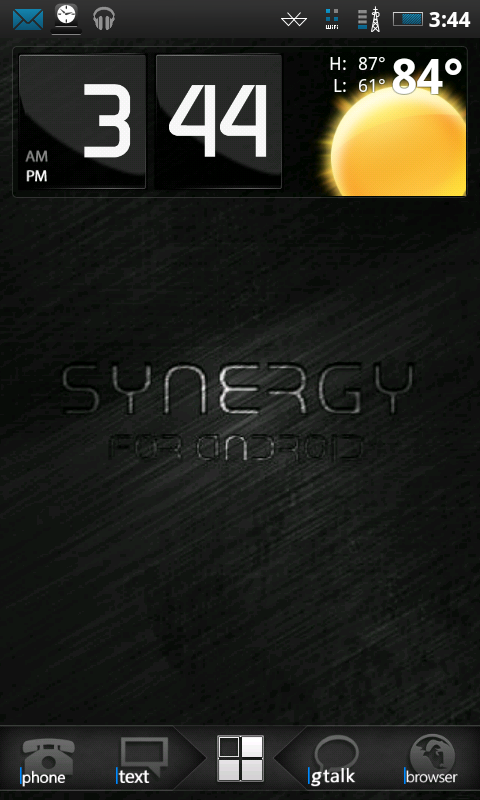 Synergy is easily the best themes I've used, and one of the best looks (ROMS or Themes) I've tried on any of my devices. Best of all, the theme is completely free, so if you're rooted and have CyanogenMod 7 installed, there's no reason not to give it a try, unless you hate the color blue. If you want to give Synergy a try, just click the app link below. 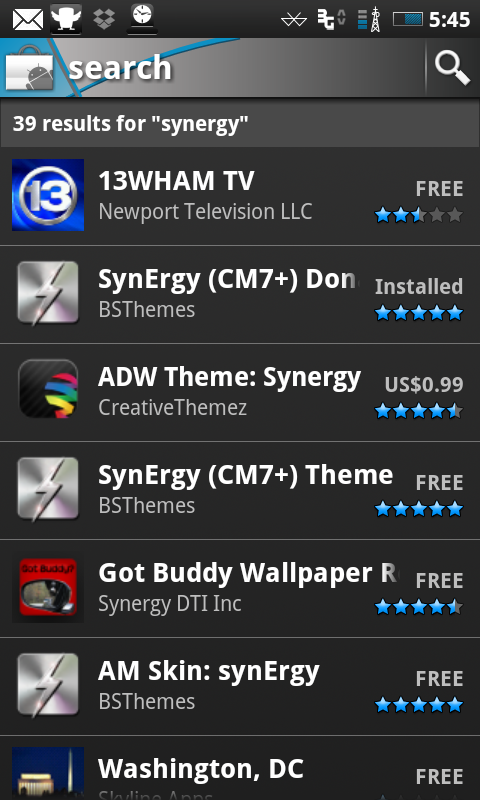 The developers also have a Donate version of the theme, which includes the same features. While donating doesn't unlock any additional features, this is the kind of work I'm glad to pay for.